Avengers: Age of Ultron has topped the North American box office with $191.3 million, the second-biggest opening weekend ever in the US. The sequel failed to beat the record-breaking opening of the original Avengers movie, which took $207.4 million when it debuted in 2012. The weekend’s second biggest film, Age of Adaline, took just $6.3 million. The Marvel Disney film has taken $631.1 million worldwide so far. Analysts suggested sports events may have affected Age of Ultron‘s US performance, with Floyd Mayweather and Manny Pacquiao’s boxing fight, the Kentucky Derby and NBA playoffs all scheduled over the weekend. Avengers: Age of Ultron marks the return of Robert Downey Jr., Scarlett Johansson, Mark Ruffalo and Chris Evans as Iron Man, Black Widow, The Hulk and Captain America. 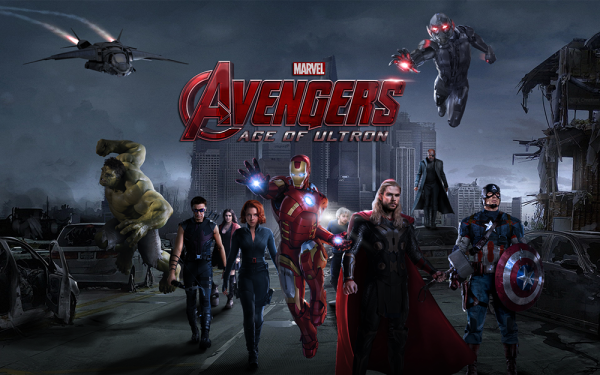 This time the superhero team – which also includes Chris Hemsworth as Thor and Jeremy Renner as Hawkeye – are battling to save the earth from villainous robot Ultron, voiced by James Spader. Furious 7 took $6.1 million in third place with Paul Blart: Mall Cop 2 in fourth and animated film Home rounding out the weekend’s top five.